I am 63 years now. Around 20 years ago, when I was 40, I was diagnosed with ovarian cancer. I had to undergo a surgery for the removal of my uterus and ovaries. If you may be aware, removal of the ovaries induces immediate menopause symptoms in the body. Unlike how the body gradually undergoes changes during a natural menopause process, in my case, it was brought in a few hours post the surgery. Soon after the surgery, the level of estrogen, which the ovaries produce, went down below the optimum levels. As a result, my body began to starve for all the nice things that this hormone does to a healthy physiology. There was severe dryness of skin and unusual hair fall. Leg cramps pinned me down often, and not to mention, the constant tiredness. Watch below, my video about the role of Vitamin E in menopause. That’s when my gynecologist prescribed #Evion! Evion is a capsule that contains Vitamin E. In general, most of us are aware about carrots and Vitamin A, lemon and oranges and Vitamin C, Calcium and Vitamin D and Vitamin B complex. However, if asked about Vitamin E, we may pause and think and keep thinking because not many of us are aware of what this mighty Vitamin does to our health. Perhaps, we know to an extent of the role of Vitamin E for our skin and hair, but we may hardly know anything beyond. 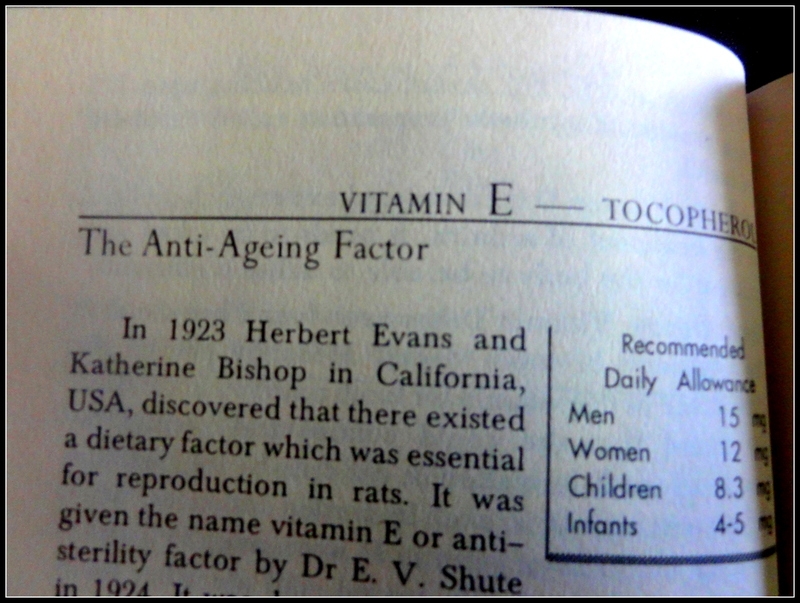 Until my doctor suggested Evion, I wasn’t aware of the importance of Vitamin E either. 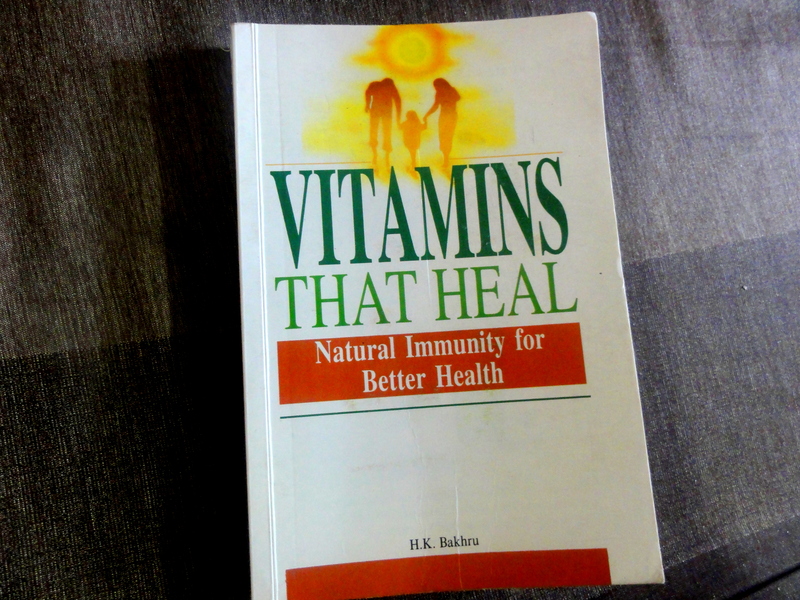 I would like to share here a few essential facts about Vitamin E, from this book, and specifically about how it has helped my post menopause phase. Our body cells are subjected to destruction by free radicals. And Vitamin E has the potential to fight against free radicals. Thus it helps in the healthy functioning of the body. Yes, any general Google search can give this information. However, do we all really understand what a free radical is, what an antioxidant is and how Vitamin E can be a good antioxidant? If you have a basic background in science, you will know that an atom with an unpaired electron is what we call a free radical. What happens at the molecular level is that, these atoms with the unpaired electron on the outer shell, in no time will begin to attack its neighbouring atoms which are stable. That means, the stable atom is robbed off of one of its electrons and consequently, the robbed atom becomes a free radical. Now, the newly formed free radical begins to attack another neighbouring stable atom. This process, like a chain reaction, disrupts the healthy structure of the molecule these atoms would form together. So, if this molecule was a part of an important element for our health, say a cell, a tissue or a protein, it is going to be ultimately destroyed. Antioxidants are molecules which can generously donate an electron. And most importantly, they themselves will not become free radicals in the process. They have the unique property to remain stable with or without that single electron. Now that makes sense, doesn’t it? Antioxidants react with the existing free radicals in our system and stops the disruptive chain reaction, thus protects our cells, tissues and proteins from damages. The fact here to understand is that Vitamin E is the highest source of naturally found antioxidants! If you can visualize what Vitamin E does, you can connect the dots; for instance, free radicals – cell damage – dry skin/uncontrolled hair fall – Vitamin E – antioxidants – neutralize free radicals – revert the cell damage. Vitamin E dilates our blood capillaries and allows blood to flow freely through the blood stream. An unclogged blood circulation takes care of half the health by itself. #1 Vitamin E reverted my skin back to its healthy state. It is like a natural moisturizer which keeps the skin moist in the most natural way. #2 Vitamin E helped me to control the thinning of my hair. It restored my strong, thick, healthy hair I had nurtured for ages. #3 The leg cramps I used to suffer from got completely healed. Infact, inspite of sitting for long hours in the Padmasana posture, I no more experience leg cramps. #4 Most importantly, I started to feel energetic inspite of the loads of home chores I did everyday. #5 Though I am 60+, I look a little under 60 😛 Atleast that is what some people say. No wonder Vitamin E is called the anti-ageing factor! What is to be noted is that, we need to incorporate regular intake of Vitamin E in our everyday diet. Over the years, I have switched from Evion to nuts, spinach and avocado for Vitamin E source in my weekly food intake. Though there are a few other fruits and food which are rich in Vitamin E, these three are the ones I rely on because I personally like them and also it is readily available in my place. Supplements are essential when the body undergoes a sharp drop in the vitamin levels. However, after a period of good health with the supplements, it is recommended to include them in the regular diet. Thanks to Evion, it is making the lives of several women like me healthy and energetic! 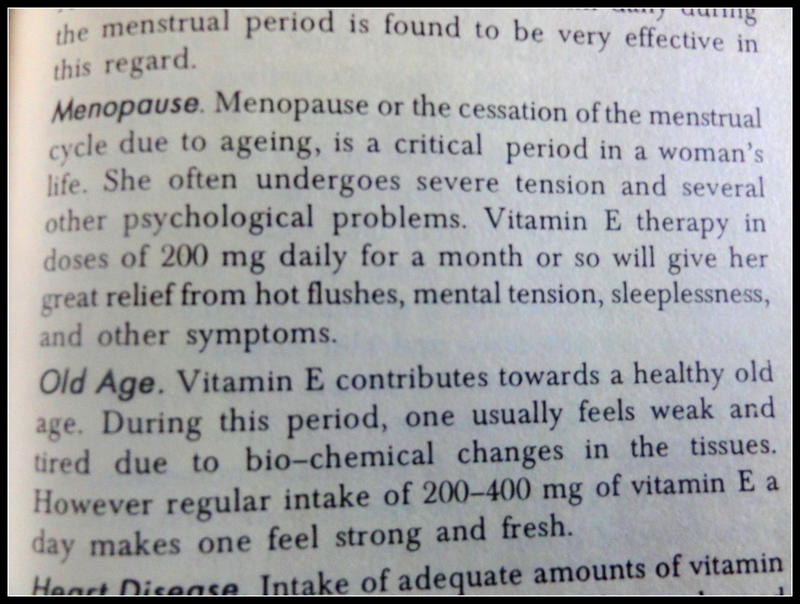 Author vedvyashPosted on January 24, 2018 January 24, 2018 Categories health, ScienceLeave a comment on My Post-menopausal Friend – Vitamin E! Have you ever wondered how it would be if we could see the micro particles that float around us? Bet me, you wouldn’t want to! Not even those which occupy our homes! Ask me why! P.S. 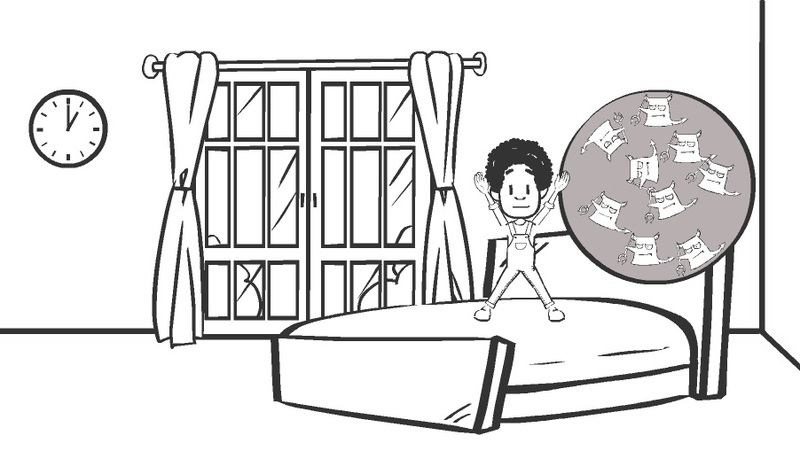 I have created a doodle video on the topic. Please click on the link given below to view the video (on the Goanimate website). 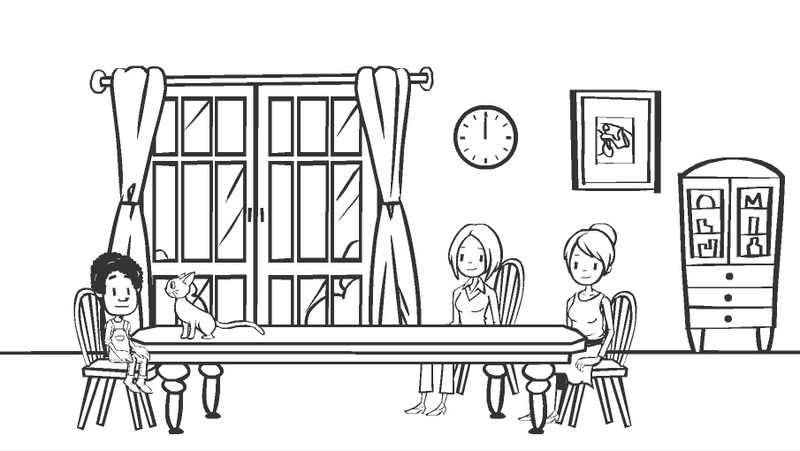 So, let me take you through a day’s routine of a family of five. Here, I introduce, Rithul. Rithul is three and goes to preschool. So, you know well, all that a three year old is capable of, don’t you? His little sister, mom, dad and granny are the other people who stay at their home together. Did I miss out Kitty- their pet cat? C’mon, let’s sneak into their house! Rithul wakes up in the morning with something disturbing his sleep. His nose feels stuffy and eyes look watery. Rithul’s mom is making breakfast in the kitchen. 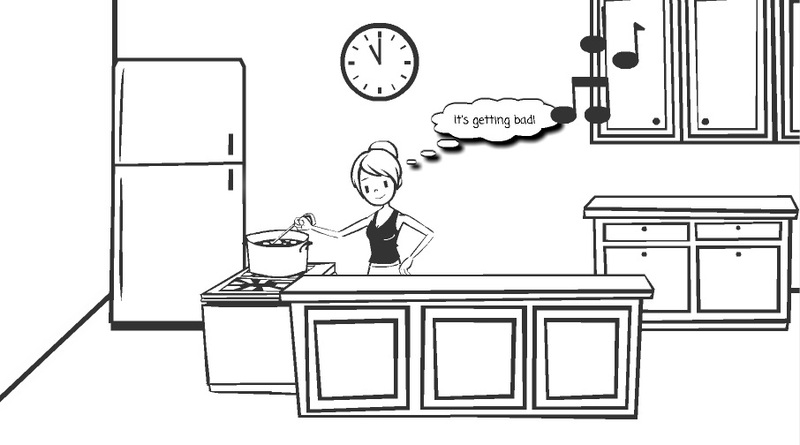 She has been having mild headaches for quite a while now, mostly when she is in the kitchen. Why could it be? Rithul’s dad is reading a newspaper in the sit-out. Wait, W-a-i-t…..Achoooooo! And then a train of Achooooos..! The grandmom, sitting near him, isn’t sneezing though 🙄 Why? Dad is leaving to office. He opens the main door and starts coughing. “Argh! Once we step out of home, it’s all dusty!” Well, may be not! Mom is back in the kitchen to prepare lunch. She hears loud music from the neighbor house through the atrium. “What nuisance these bachelor guys are!” Her headache gets bad now and so, she closes the window that opens out to the atrium. “Ah, how relieving!” But in a little while, her headache worsens. Why? Rithul is back from school. He plays with Kitty. When mom calls him for lunch, both hop straight onto the dining place. Did you notice? Yes, he didn’t wash his hands, hmm?! 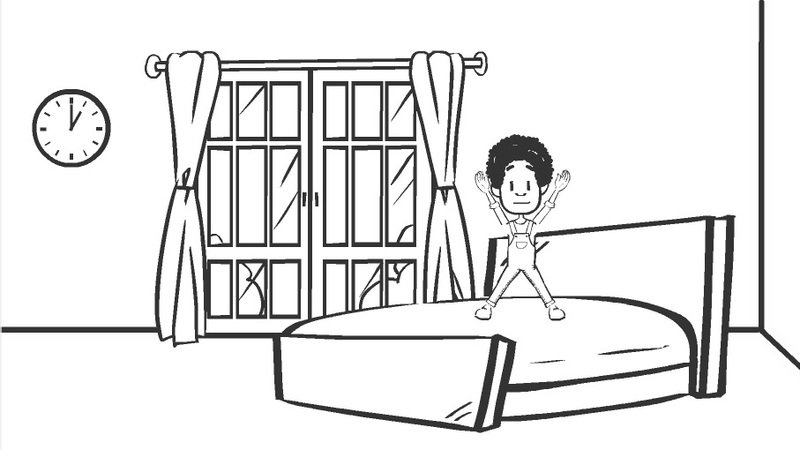 After lunch, Rithul plays Jumping Jacks on the bed until he gets tired and dozes off to sleep. Rithul begins to cough, quite severely, and wakes up. Bah! Again, stuffy nose and red eyes! It’s getting darker. Time for mosquitoesssss! Grandmom closes all the windows to prevent mosquitoes from getting inside. Granny comes back home after a walk. She feels healthy, but is she carrying home something unhealthy? It’s bedtime for the family. But not for the Cockroaches! Hey! They are on a brisk stroll all around the kitchen. Coughing, sneezing, skin sores, headaches……Holy Cow! What could be so bad lurking around their home atmosphere? Let’s find it with a microscope! Yay! Isn’t that some fun?! C’mon, let’s redo the day at Rithul’s home through a microscope. Game? When Rithul woke up, there were tiny dust mites around the bed. He has been inhaling these for a while now and …, yes, you got it, that’s how the stuffy nose and watery eyes were triggered. 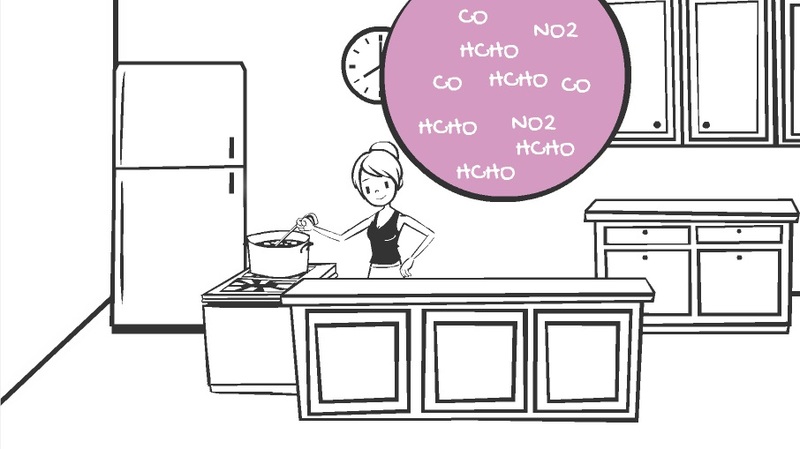 When mom was cooking in the kitchen, the combustion process from the gas stove was letting out gases, mainly, Carbon Monoxide, Nitrogen Dioxide and Formaldehyde. Remember, the headache she had? Makes sense. 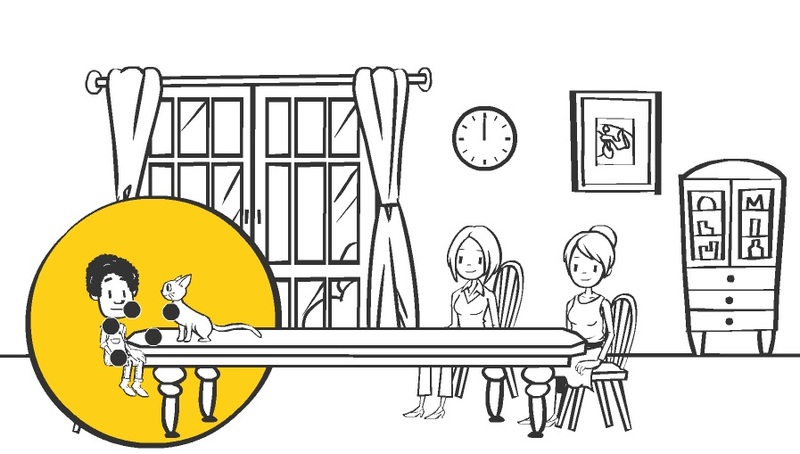 When dad was reading the newspaper, skin flakes from Kitty’s body called pet dander, had formed a boutique near him. Also, the man living downstairs was smoking a cigar, giving rise to a volcano of smoke near the sit-out. What an allergic boutique! Inhaling cat dander and cigar smoke, Dad’s respiratory system was working hard to throw them away, hence causing the train of sneezes. Wait a minute, wasn’t grand mom sitting near him too? Yes, though she too inhales her share of Kitty’s dander and the cigar smoke, her immune system does not trigger an allergy in her. Hmm…strong lady, uh?! When dad opened the main door to step out to office, all the caught-up allergens gushed out making dad cough. Caught-up allergens? Yes, according to the plan of the house, the main door is the only ventilation on the North side of the house. So, though air enters and exits through windows on the South side of the house, the overall ventilation is not effective enough to carry allergens away. As a result, those allergens which were circulating within the house without scope to escape out, gushed out when the main door was opened. So, after all, it was the indoor air that was dusty, uh? Poor dad! Ouch! Dust mites were disturbing the little girl’s skin by causing red sores on her neck. Yes, the same bad guys who attacked Rithul’s respiratory system in the morning. In order to get some relief from the loud noise, mommy closed the only way out for the gases in the kitchen – the window to the atrium. 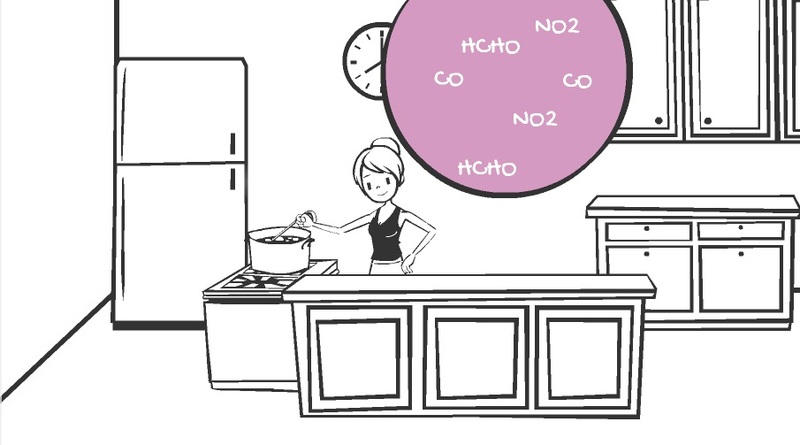 Do you see that the gases have become denser? Of course, how else can they get away?! No wonder her headache worsened. Kitty had passed a lot of cat dander during his playtime with Rithul. Now that Rithul is full of cat dander all over, he is sure to breathe and eat a bunch of them. Rithul had fun jumping on the bed. But the poor boy was oblivious to the hundreds of dust mites that were hiding in the mattress and pillows. Alas! He has opened them all to the outside. What are these bad guys going to do now? With a large gathered party, they had fun attacking Rithul’s lungs. And he is up again with cough, quite severe this time. Grandmom was aware of the dangers that mosquitoes can cause. How rightly, she closed all the windows! However, she wasn’t aware of the dangers that the pollutants trapped inside the house can cause. Do you see a parade of a mixture of pollutants? Back from her evening walk, granny has carried some allergic pollens from the garden. Now that the house is devoid of ventilation in the night, they will circulate in the home, triggering allergy. Life through a microscope is indeed disgusting, isn’t it? In fact, what we saw was just a random day of one random family. And this isn’t fiction nor something that happens to somebody in some part of the world. It DOES happen in most of our homes! 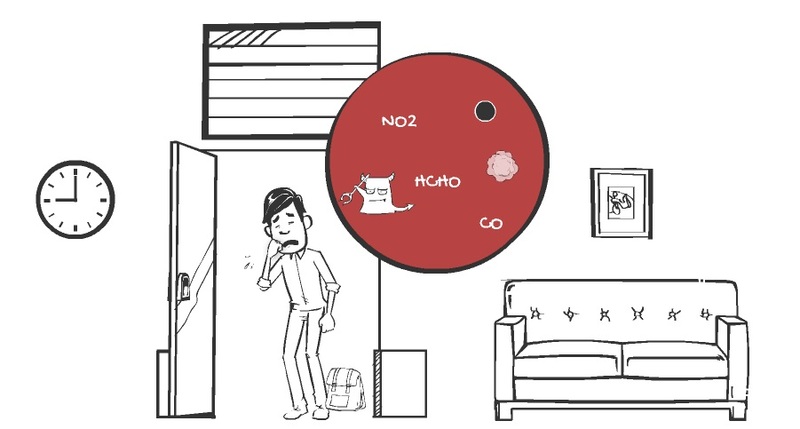 Unknown to many, home air is 5 times more polluted than the outside air. Harmful Gases: Gas stoves and heaters emit gases like Carbon Monoxide, Nitrogen Dioxide and Formaldehyde. Formaldehyde is released by chemicals used in pressed wood furniture. These gases cause headache, nausea, dizziness and disorientation in the longer run. 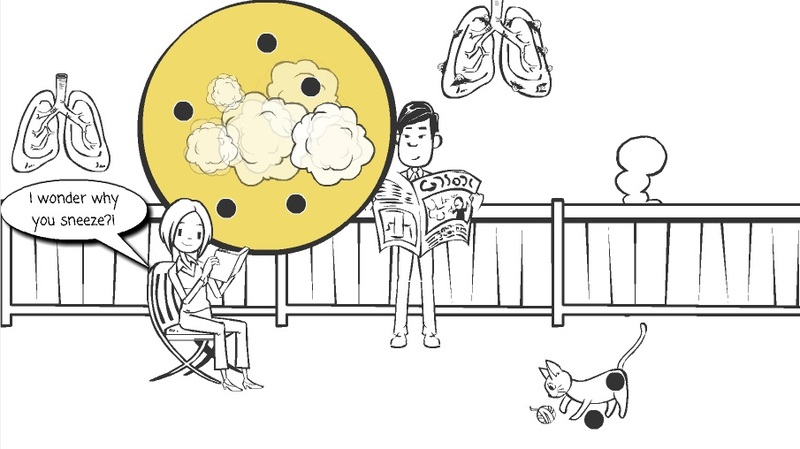 Radon is a ground water contaminant, posing a high risk of lung cancer. Certain organic gases, widely called as Volatile Organic Compounds (VOCs) are let off from several household objects, to name a few, paints, pesticides, permanent markers and cleaning supplies. Their effects are similar to the other harmful gases. Biological particles: Asthma, respiratory allergies like allergic rhinitis, bronchitis and pneumonia can be caused by biological pollutants. Tobacco Smoke: Cigarette smoke inhaled by smokers and people around can cause cancer, in addition to respiratory problems like bronchitis and pneumonia. Fortunately or unfortunately, we don’t get to see with our eyes, any of the air pollutants we talk about. 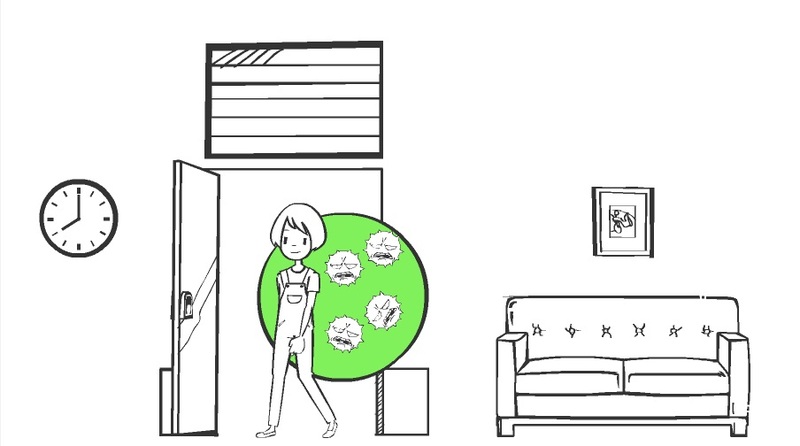 How then, in the first place, do we access our indoor air quality? Look for one or more of the following health signs. Yes, looks like you have a few symptoms from the above?! There is much we already know how to maintain our homes clean. Dust regularly, clean this, clean that, be hygienic, wash, wipe, bath……well, well, well, we all do it! But let me tell you what we all are ignorant about. Most of the indoor air issues can be managed by making way for good ventilation. To begin with, understand how the doors and windows in your house are positioned to facilitate ventilation. 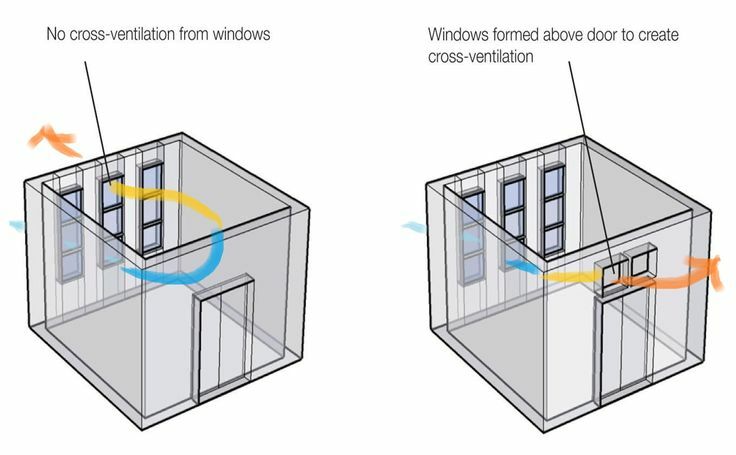 The image below is a good guide to understand cross ventilation. Keep the doors and windows open during cooking, if not at other times. Remove wardrobes, furniture and dressing tables that might be blocking windows. 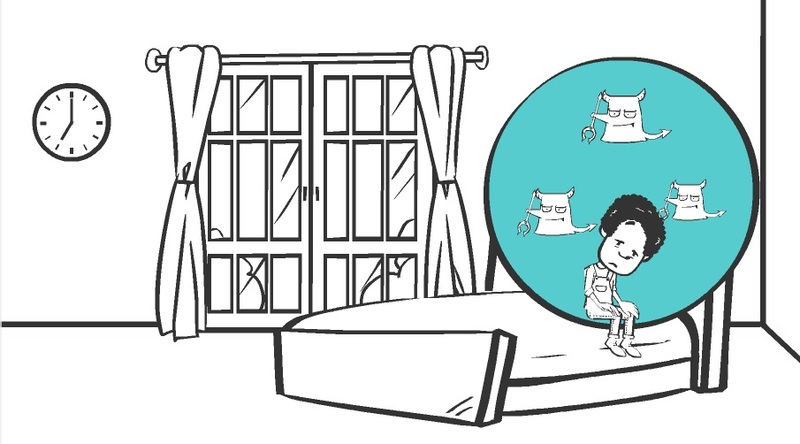 Fix mosquito nets over the windows instead of keeping the windows closed in the night time. Install chimneys over gas stoves to protect yourself from CO pollution. 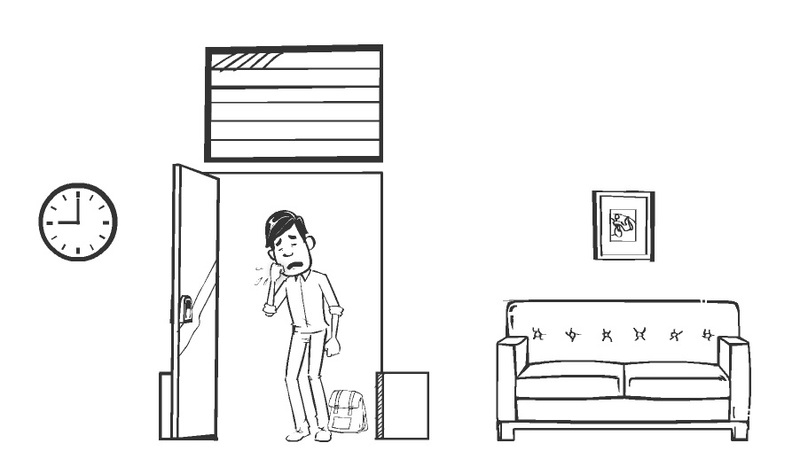 When air conditioners are not in use, remember to keep the room windows open. If constructing a house, study the ventilation possibilities thoroughly before fixing doors and windows. 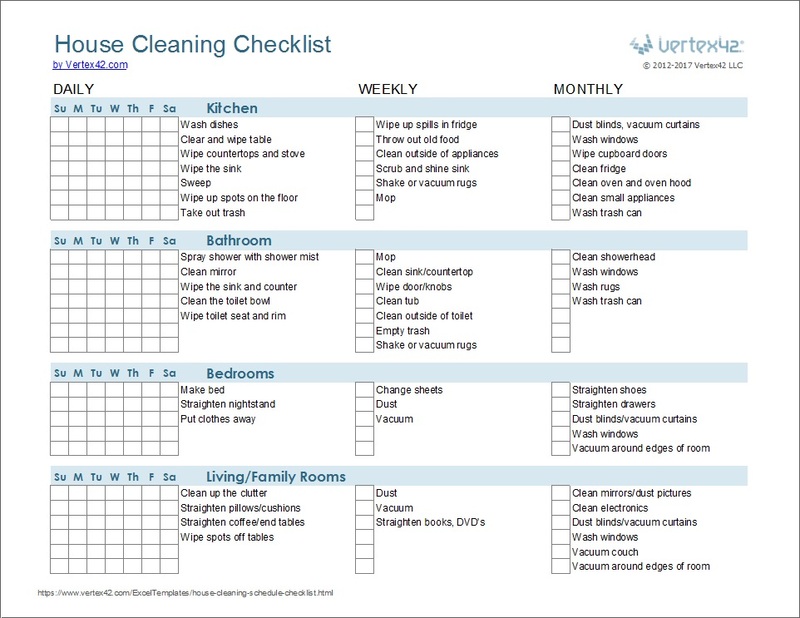 Well, our daily routines keep us busy for the entire day, that house cleaning (to the point of eradicating the pollutants) is mostly put for later. That is why it is helpful to follow and maintain a chart like the one below: (Search for more such check-lists or make a custom one). Use a wall paint like Asian Paint’s Royale Atmos to reduce the formaldehyde emission by wooden furniture. You ask me how? 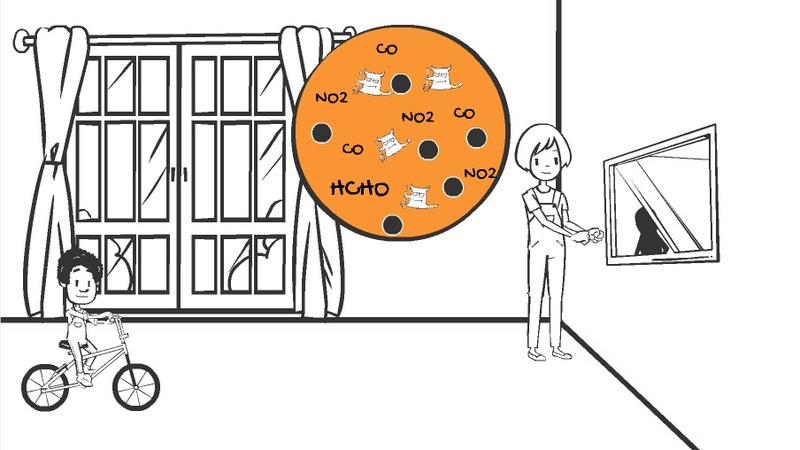 Here’s how Royale Atmos can enhance indoor air quality in our homes. Some of us might like to grow plants in our homes for the love of plants or for aesthetic purposes. 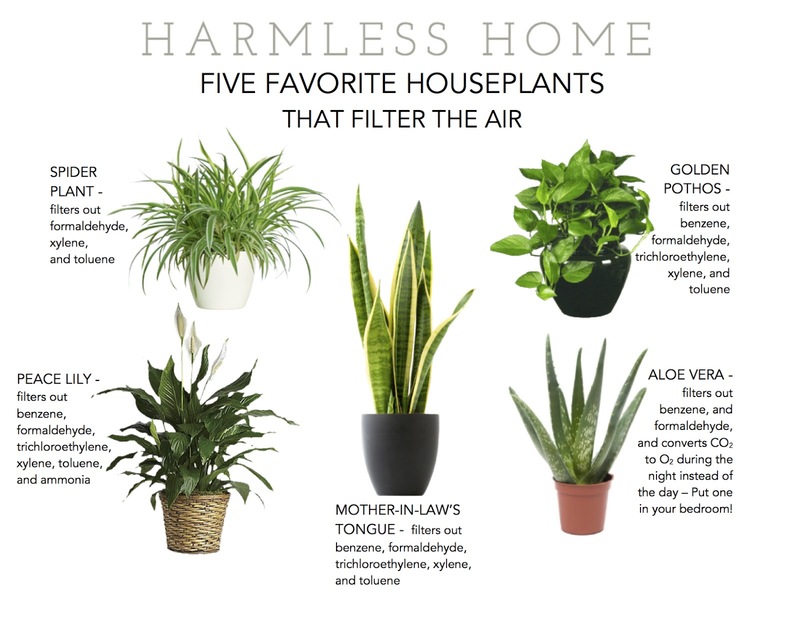 However, not known to many, a few plants have the ability to neutralize the harmful effects of indoor pollutants. Here are a few for your reference. Make an in-depth study of such plants to get benefited by their presence in your home. Keep mattresses, carpets, curtains and upholstery vacuum cleaned regularly. Wash beddings in hot water or alternatively, keep them inside a freezer for 2 days (within a plastic bag). Remember to wash them soon after to clean the dead remnants. They thrive on humidity. So, use a humidifier in the bedroom if the climate in your place is too humid. 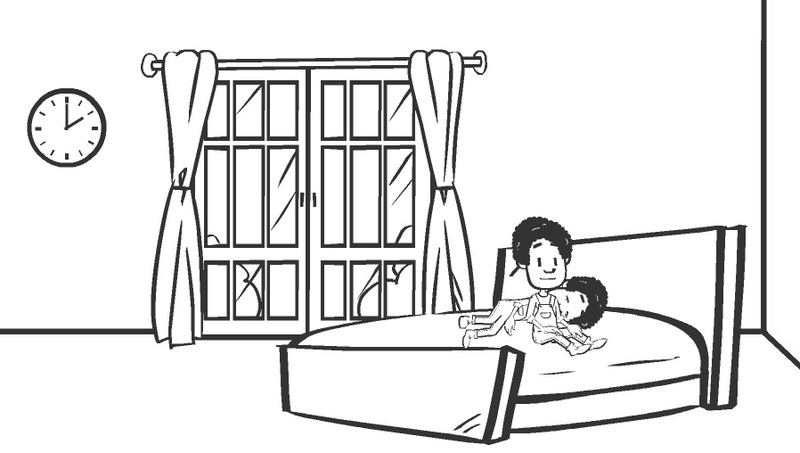 Educate children not to jump over beds and couches. It can aggravate the air with increased dust mite population. Don’t forget the late night visitors – Cockroaches! 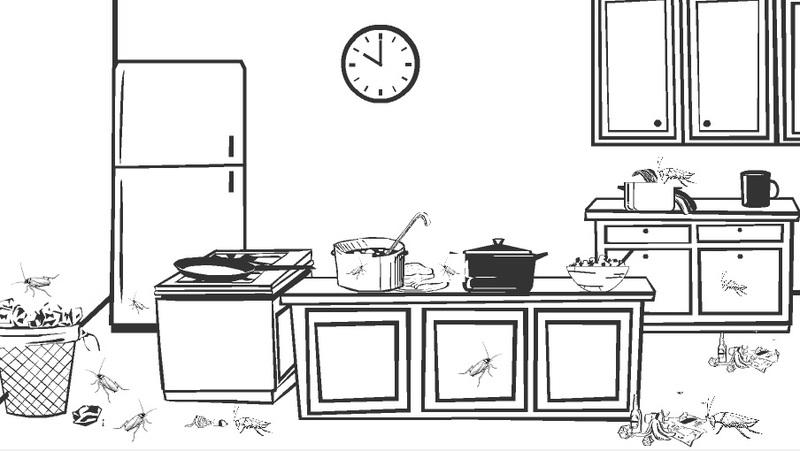 In urban homes, cockroaches are an everyday battle. They mainly get their way through into our homes from drainage covers and our left-over food are their happy meals. This is what our carelessness and laziness can lead to! If you have ever fought the cockroach war, you would know how no matter what you use – sprays, chalks, powders – they seem like indestructible creatures. In the first place, let your kitchen shine before you hit bed, lest these creatures will shine their reign over our existences. If you sense their presence, spray anti-cockroach sprays on the kitchen and bathroom drainage covers before going to bed. But remember to clean the surfaces in the morning. Search for modern anti-cockroach traps like one way drainage covers, electronic traps etc. 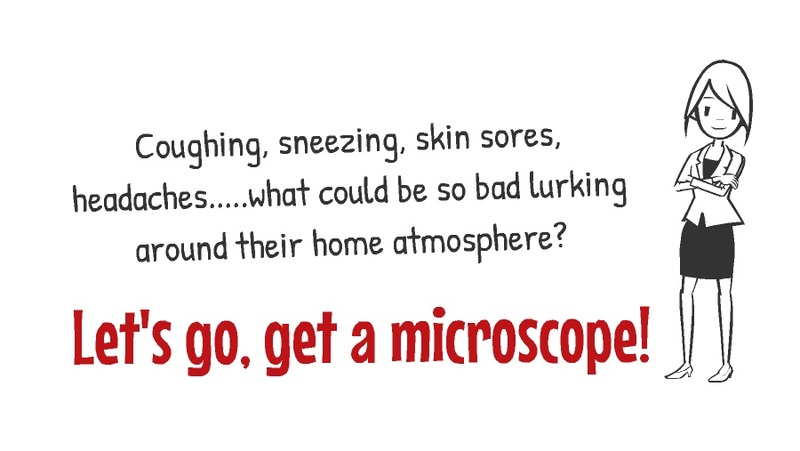 Because, clean air makes not only beautiful homes but also a beautiful life through a microscope!